After many months of searching, and a lot of excellent demo submissions sent to us, a vocalist has been found. We’re pleased to introduce vocalist Wyatt Howell and new band SILVER TALON. 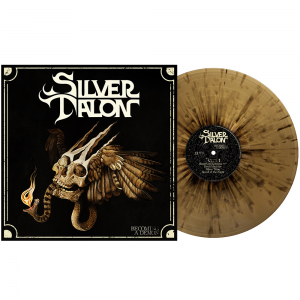 Rising from the ashes of Portland traditional heavy metal band SPELLCASTER, SILVER TALON aims to keep the flame of heavy metal burning. Formed by ex-SPELLCASTER members Bryce VanHoosen (guitar), Gabriel Franco (bass), and Sebastian Silva (guitar) in the spring of 2017, and joined by vocalist Wyatt Howell (SANCTIFYRE) shortly thereafter, SILVER TALON seeks to pickup where SPELLCASTER left off. And a thoroughly heartfelt THANK YOU to everyone who submitted vocals. There were so many great ones to choose from – we wish we could have chosen you all.